Illegal Aliens Face Federal Charges for Polk County Crimes, LIVINGSTON, November 16, 2017 - On November 15, 2017, a federal grand jury indicted two illegal aliens for offenses committed in Polk County. On December 19, 2016, Officer Joseph Hood, with the Corrigan Police Department conducted a traffic stop on a vehicle traveling southbound on Highway 59. According to Officer Hood, the vehicle, which he’d stopped for speeding, was being operated by Jaime Guajardo Perrett. Officer Hood noted that the temporary paper license plate on the vehicle was assigned to a Volkswagen despite, the vehicle he pulled over actually being a Ford F150. Perrett, who had no driver’s license, smelled of marijuana and a search of the vehicle revealed a marijuana cigarette and marijuana residue. A search of Perrett yielded Xanax pills for which Perrett had no prescription. Perrett was arrested for misdemeanor possession of a controlled substance and subsequently bonded out of jail. A check of Perrett’s criminal history revealed that he had previously been convicted of Burglary, False Report, Felony Possession of a Controlled Substance and Unlawful Possession of a Firearm. Additionally, Perrett, who is a Mexican national, was removed from the United States in 2009 and in 2014. Homeland Security Investigations- Houston was contacted and arrangements made to have Perrett taken into custody at his next court appearance (8-21-17). However, that day Perrett failed to appear in court and his bond was forfeited and the additional charge of Bail Jumping was filed. It wasn't’t until November 1, 2017 that Perrett was rearrested by Houston Police. When he was arrested by HPD, officers found him to be in possession of marijuana and a firearm. On October 25, 2017, Trooper William Lenderman with the Texas Department of Public Safety conducted a traffic stop on a minivan traveling north-bound on Highway 59 in Seven Oaks. According to Trooper Lenderman, the speeding vehicle was being operated by Oscar Obdulio Perez-Ramirez. Perez-Ramirez, a Honduran national, had no driver’s license, but produced a Honduran passport as proof of his identification. Trooper Lenderman noted that there were 8 other occupants of the vehicle. Upon being questioned by the Trooper, the occupants provided inconsistent accounts of their itinerary. Perez-Ramirez did not know the names of the other occupants, despite telling the Trooper that they worked together. 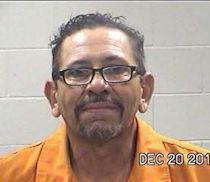 Additionally, Perez-Ramirez informed the Trooper that they were traveling to Louisiana for construction work, but the Trooper noted that there were no tools or luggage in the vehicle. The vehicle was registered in the name of a third party which was unknown to Perez-Ramirez. Lastly, none of the other 8 occupants had any identification. Trooper Lenderman contacted Immigration and Customs Enforcement officials. However, prior to their arrival, Perez-Ramirez and another unidentified occupant fled the scene on foot and despite efforts by the Trooper to apprehend them, the two evaded arrest. Immigration checks on the 7 remaining individuals revealed that they were in the United States illegally and were Guatemalan nationals. Homeland Security Investigations-Houston Human Smuggling Group interviewed the occupants and was told that the individuals had arrived in San Antonio the day before and were transported to an unknown location in Houston before Perez-Ramirez arrived to transport the group to New York. Two of the individuals interviewed added that they paid nearly ten thousand dollars with the intent to be transported to New York and one, positively identified Perez-Ramirez from a photo lineup. On October 31, 2017, federal authorities arrested Perez-Ramirez in Houston. 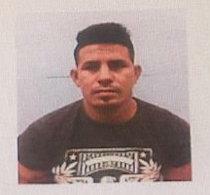 Information compiled by federal investigators indicated that in September of 2017, Mississippi State Troopers conducted a traffic stop on a vehicle occupied by an individual later associated with Perez-Ramirez and 8 other illegal aliens. They were all subsequently released. On October 21, 2017, Arkansas State Police conducted a traffic stop on a vehicle being operated by Perez-Ramirez and occupied by 8 other occupants who did not speak English. Again, they were released. A check of Perez-Ramirez’ criminal history reveals that he had been convicted of Illegally Reentry in April of 2011 and removed from the United States in May of 2011. Again, Perez-Ramirez was convicted of Illegal Reentry in March of 2014 and removed from the United States that same month. Both cases are being prosecuted in federal court by Polk County Assistant District Attorney, Tommy L. Coleman, who also serves as a Special Assistant United States Attorney for the Eastern District of Texas. Perrett faces a federal charge of Illegal Reentry while Perez-Ramirez is charged with both Illegal Reentry and Transporting Illegal Aliens. “Regardless of what your opinion is regarding illegal immigration or the role that so-called sanctuary cities play in the matter, these two individuals represent a criminal element that will not be tolerated in Polk County,” stated Coleman.